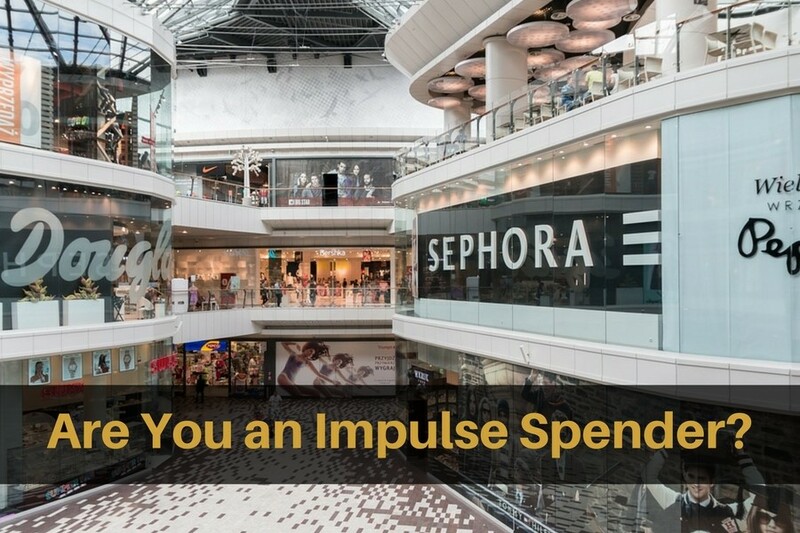 Are you an impulse spender? Do you spend money because it is fun to spend? Do you often find yourself looking at your receipts and wondering why you bought 4 new pairs of shoes when you already have a closet full? Or if you’re a guy have you ever bought new tools just because you thought no one can have too many tools in their garage? Impulse spending can happen to anyone. For many it happens when they go to the grocery store hungry and typically without a grocery list. They buy everything in the store because it looks delicious. Others may not be able to drive by a furniture store without stopping in for a look. They love spending money on new furniture. Everytime they walk into a large furniture store they head straight over to the TVs and convince themselves that they need a new, bigger, skinnier, better TV because they are just dying to replace the TV they bought 2 years ago. Or they go over and sit on all of the sofas to see if they can find one to buy to replace the one they bought last year that isn’t as cushy as it appeared to be in the store. Then there’s that quick trip to Lowes for just one item, like a new screwdriver, or such. Picture it – A husband and wife enter the store. Wow, take a look at that shiny new BBQ, they say. You know we could use one of those. After all ours is 4 years old and it’s an eye sore because we never feel like cleaning it. Let’s just get a new one, and then we don’t have to worry about cleaning the one we have. And while we’re at it, let’s get that giant umbrella for our back patio. It’ll look so nice out there in the summer, even though we don’t really spend much time out there. But you know honey, if we are going to get a new umbrella and a shiny new BBQ, then we really need to get new patio furniture. And look the patio furniture is on sale today. Let’s get it! Let’s get it all now! Honey, this is so exciting. Hurry up and get your credit card out. Does that scenario sound familiar to you? How often have you walked out of a store after spending thousands of dollars, even though the item you really went in for was only $19.99? If you are a repeat offender when it comes to impulse spending, here are some questions you can ask yourself and your spouse the next time you find yourself considering large unnecessary purchases. These questions may help you to rethink your spending. Am I buying this only because it is on sale? Am I buying this because it looks so nice? Am I buying this because having new things makes me feel good? If I charge this, can I pay it off at the end of the month? Would I make the trip back here tomorrow to buy this? Do I really need it, or do I just want it? Will buying this put me over budget this month? Am I buying this because I am too lazy to fix what I have?